【SUITABLE】 Stir the coffee, milk tea, protein powder, milkshakes, fruit powder and so on many kinds of instant powder drink. 【DESIGNED】 For liquid and powder product, created the possibility of mixed. 【OPERATION】 Fill mixer with desired liquid. Push button and allow tornado to form. Add other ingredients to the Vortex. 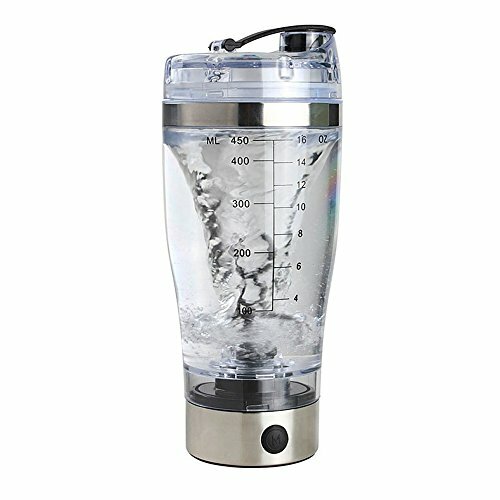 Portable Mixer for instant mixing. 【NOTICE】 If the cup filled with hot water, please open the air holes in a timely manner.